Online marketing continues to grow as a business priority. Being that people are passionate for Social Media, it only stands to reason it would begin to influence SEO. After all, both rely heavily on people’s recognition of quality content for their success. Signals like back- links from other websites have been gamed (= cheated) so aggressively that search engines have diminished their role in competitive rank for keywords & phrases, limiting that signal to trusted (undisclosed) sources only. Instead, for instance, they have turned to signals where an interest or even passion can be recognized. 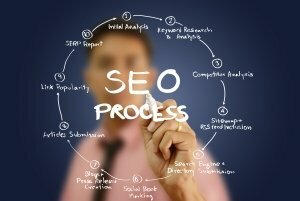 While fundamental SEO practices may be all that’s necessary for some types of business, where there is stiff competition (i.e. law & real estate) Social Media is likely going to matter. At least for brand- specific searches, Social media accounts (i.e. Facebook, Twitter, Instagram, etc.) may show high in search engine results; however, they don’t necessarily serve as competitive signals for broad sets of target keywords. The engines are looking for follow nos. and a presence that matters. So an active presence, where quality content is shared, may prove advantageous to the brand’s core competitive purpose. Google is also looking at social signals because they are generated by verified users with genuine follow- connections. If you take a moment to think of the fact that social media can support SEO … it can be very exciting! So if not already, take a few minutes to make sure social profiles are completely filled out with accurate consistent information and make it a habit to post quality content into each network. Don’t know where to start with Social Media and SEO, or simply don’t have the time? We can help. Check out our SEO and Social Media plans that will help you get your marketing to the next level.